My boyfriend and I decided to play tourist one day and walk around Laguna Beach. It was a lovely early fall day and the beach was full of people enjoying the water. I took quite a few photos, but this one image kept speaking to me. It is the view looking northwest toward the Heisler Park gazebo from the pathway. 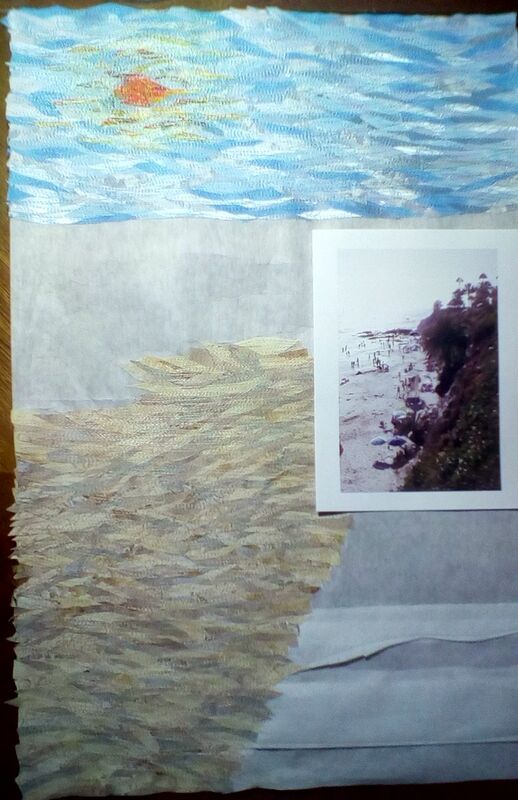 The image to the right shows the work in progress where I have completed the sun and sky along with the beach sand. I really enjoy blending the sun into the sky. It requires a lot of planning and thinking, not to mention constantly changing the thread color. 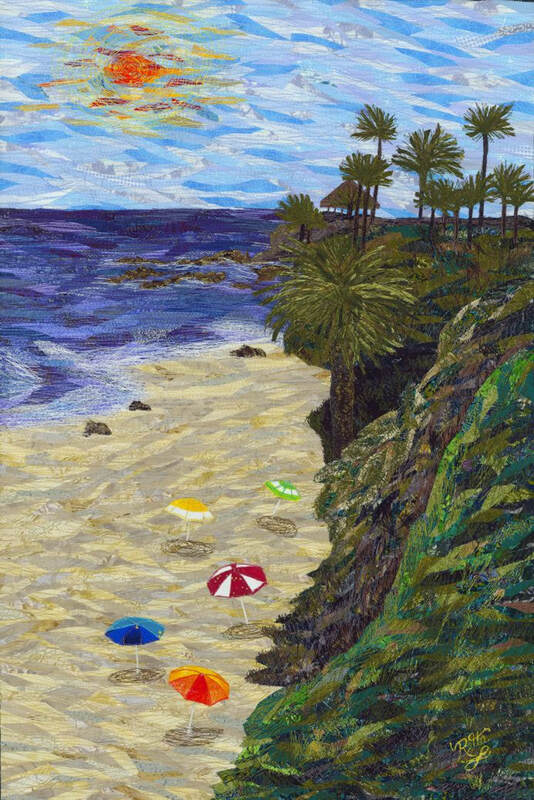 However, I think my favorite part of this thread painting is the umbrellas. They just add that little bit of color that makes me happy looking at this piece.